In 1894 the Royal Commission on Labour reported on women working in the Irish textile industry. They noted the high rates of Tuberculosis (TB) amongst women working in the industry. The report also stated that many processes in the flax mills and linen factories were dangerous under the terms of the Factory and Workshop Act of 1891. They advised that ventilation be improved and that temperature and humidity in the factories be reduced. Although forbidden by the 1891 Factory and Workshop Act, expectant mothers often worked right up until they were ready to give birth, and returned to work as soon as their babies were born. 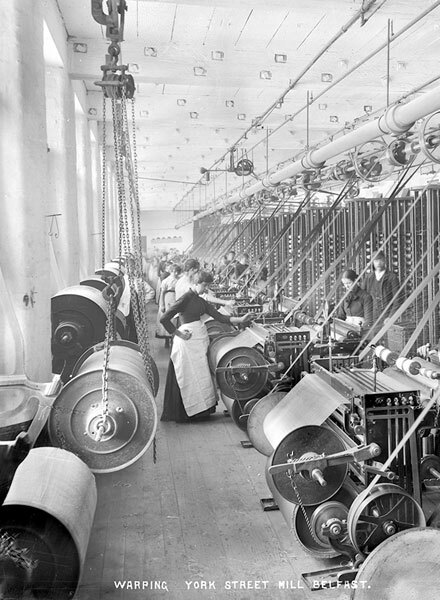 Women working in the linen industry had very few rights and a minority of the workforce belonged to unions. Many linen mill and factory owners built villages to house their own workforce, for example, the Barbour family built Hilden in Co. Antrim. This often made workers more unlikely to join unions or demand their rights from employers, as coming into conflict with the firm could mean not only losing your job, but also losing your home. 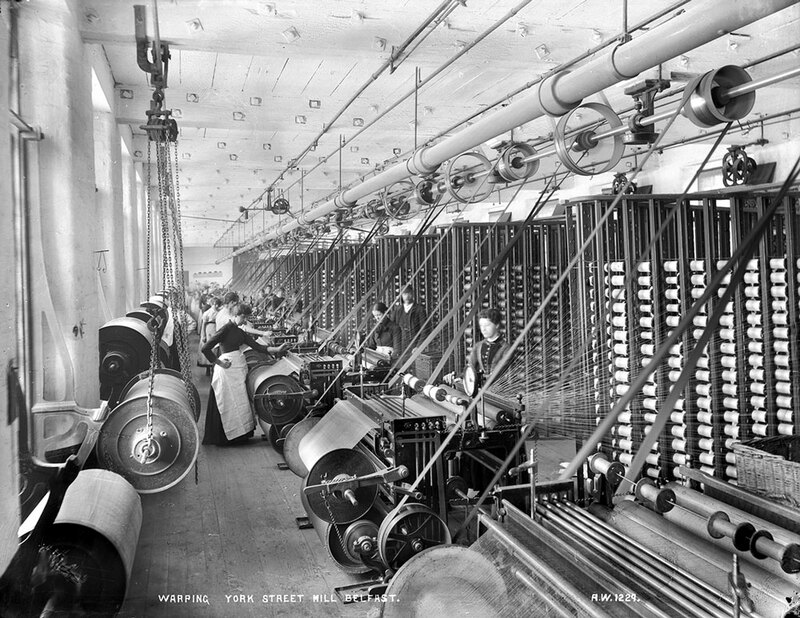 Women working at warping machines at York Street Mill.